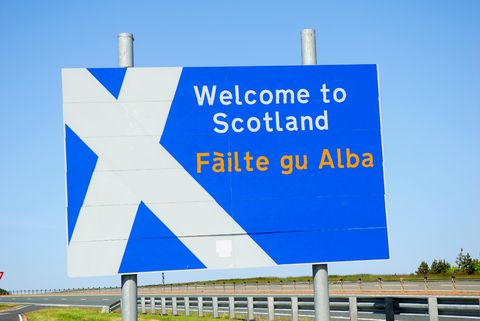 Politicians are calling for Scotland to have more power over immigration so that it can attract more skilled workers, as its population is growing at a slower rate than the rest of the UK. Currently immigration policy for the whole of the UK, which is set to get tougher since the nation voted to leave the European Union, is set by the Government at Westminster. But Scotland’s devolved Parliament, which has a number of powers just for Scotland, would benefit from more control. Westminster’s Scottish Affairs Committee is calling for the UK Government to hand over control of certain migration powers to deal with demographic challenges being faced in Scotland, including an aging population. In particular it has called for the introduction of a post study work programme that would allow overseas students studying at Scottish universities to stay and work after graduation. ‘If we fail to keep pace with the rest of the UK, there will be an economic cost to Scotland and an impact on our ability to support our social and economic ambitions,’ said Committee chairman Pete Wishart. He explained that the Committee was consistently told that consideration should be given to a sub-national immigration policy to help Scotland grow its population. ‘More must be done to retain migrants to Scotland, attract migrants from within the UK and encourage more young Scots to remain in Scotland,’ he said. ‘Only through the UK and Scottish governments working together, towards the same goals and using the powers that each parliament possesses, can they make an significant impact on demographic trends,’ he added. Scotland’s Europe Minister Alasdair Allan pointed out that Scotland’s demographic and workforce needs are different to those of the rest of the UK. ‘With the recent rhetoric of the UK Government as it appears to be moving toward a hard Brexit, I am increasingly concerned its polices will seriously damage Scotland’s population growth,’ he said. The Committee report points out that parts of the Highlands in particular are suffering from a population decline, but it also admitted that more needs to be done to create jobs for people in rural areas. The report concludes that as formal Brexit negotiations get underway next year when Article 50 is triggered it is important that Scotland’s immigration needs are taken into account. ‘Government should ensure that, as part of preparations for the UK to leave the EU, they take the opportunity to work with the Scottish Government to ensure that any new immigration policies meet the needs of Scotland as well as the UK as a whole,’ it said.